Anyone had luck with this on Windows 7 64 bit? Edit: Works great for me in Windows 7 64 bit! Runs like butter @ max everything on Win7 and an ATI HD4850 card. At 1920x1200. Edit: That'd be Win7 64-bit. I never could get the original to work on my computer, so I'll be giving this one a try when I get home from work. As you can easily see from a quick look at this site, the STALKER series gets alot of love around here. Thanks for your hard work! Should I apply all the official patches to a clean Stalker install and then this mod pack? 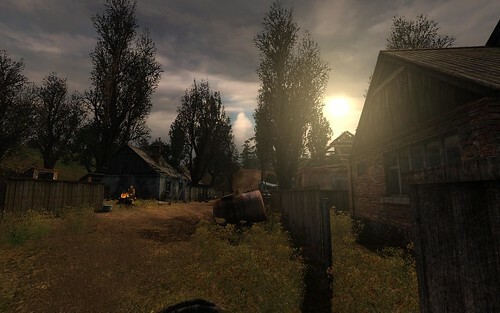 Clean Stalker: Shadow of Chernobyl + 1.0005 patch + Stalker Complete 2009 v1.4.3, that's all. Hmmm. Gonna be doing some serious upgrades to my computer next weekend. Might need to give this one a go once I've got everything swapped out. Nice! 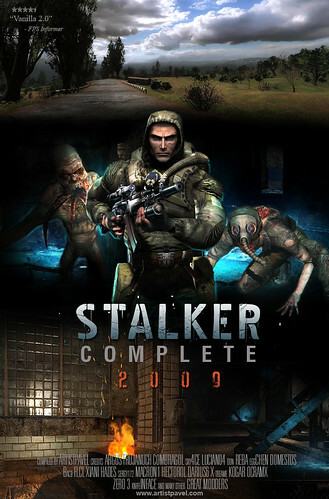 What if we have a previous version of Stalker Complete? Will 1.4.3 just install on top of it? It's much better to uninstall the previous version, because I cleaned up some of the files, it can be done by deleting 'gamedata' folder or using uninstaller. Save files starting from version 1.32 will work, but if this is your first time playing mod, starting a new game is required. I look forward to digging back in. My attempt to play back in May ended abruptly, mainly because the mod would crash in the Vista x64 install I was running then, and I didn't keep my dual-boot XP install for very long. I think I'm going to reinstall and start fresh now that I'm on Win7 x64 and the mod has been updated. Hopefully somewhere in the changes of OS, GPU drivers, and the mod itself, my crash bug will be long gone. I see other people in this thread running it in Win7 x64. Fingers crossed. Time to put that $5 investment from STEAM to work. Hopefully this will run well on my Dell Studio XPS 16 laptop. Pavel's setup worked fine when I got the $5 Steam deal. Have yet to play. Borderlands, Torchlight, Call of Cthulhu, and I'm working through Metroid Prime Echoes. If something else doesn't crawl under my skin when I finish Echoes I'll be sure to give Stalker its proper go. Hope a great future for you Pavel! Ok as SOON as I finish Dragon Age I'm finally going to play through Stalker once and for all.. I have a feeling this game is very close to Deus Ex in terms of overall style/play. I'm think I'm following GameGuru here. I just finished Clear Sky, finally and plunged into Dragon Age. IF Call of Pripyat doesn't come out before I'm done w/ DA, I may try the original Stalker again. First time around I missed getting the "good" ending. I think I can fix that. Thank you for your great contribution to gaming! Bought Stalker with the THQ pack on Steam when it was on sale last week. Haven't played it before. This looks like a good mod to start off with. I have stalker vanilla and I've played through for a few hours and it was great fun (if savagely fighting in a post disaster hell hole can ever be fun) and since I recently upgraded my pc I thought I'd reinstall from steam and give it another go with this mod. the problem is that my primary drive is not the C: drive. In the vanilla game that means I have to modify the fsgame.ltx file to pointo to my G: drive. But when I use the .exe installer for this mod it all installs fine until it tries to copy over the user.ltx to c:documents and settings/All Users/Documents/stalker-shoc/ folder which it can't find. Is there somewhere else I need to change the directory or do I need to download the non-installer version of the mod and just copy over that file? Fantastic, thanks for the reply. I'm hoping so, too. Camnipotent gifted me S.T.A.L.K.E.R. this morning, and I've never played it before. Looks cool, though. I'm giving this a go. Just bought STALKER on Steam. 2 questions. Will my PC run ok with this, or will it not take advantage of any of the improvements (specs below)? Where can I get the latest version of Float32? The site is down and I don't even know what the latest version is. If it doesn't run well on Dynamic Lighting settings, you can always switch to Static Lighting, which is a DirectX 8 mode and reduce texture quality. or you can continue to use the Dynamic Lighting but disable the custom shaders from this mod by going to "S.T.A.L.K.E.R. 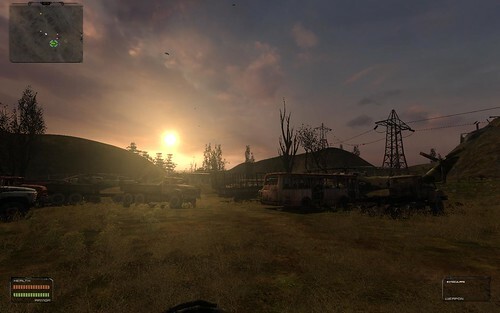 - Shadow of Chernobyl\gamedata" and renaming the "shaders" folder to something like "shaders_off"
Thanks Artistpavel. I've disabled the shaders and installed Float32, but disabled that as well. My current shader setting is set to the lowest of the three settings. My PC just can't handle shadows and shading very well and disabling them made the FPS go from 15 to 50. To be honest, I'm impressed the game even runs. I've had it in my mind that any game made after 2005 just won't run on my PC (although I play TF2 and L4D), so I haven't even tried most of them. Got the game yesterday on the $1.99 steam sale, and got the 2009 Complete mod installed, and it looks really nice. One question, regarding the realistic weapons mod, is this the proper folder? I am running win 7 32 bit and it hangs on the loading prefetch screen on startup. and click Yes to overwrite all files and folders. Now I have a new question. Thanks to the generosity of a fellow Goodjer, I now have Stalker Clear Sky. How does Clear Sky work in relation to the original and with the Complete 2009 update? Clear Sky is a separate game as far as I know (I haven't played it). I think it uses a newer version of their engine and newer assets including better textures, some of which the Complete 2009 mod uses for the first STALKER. 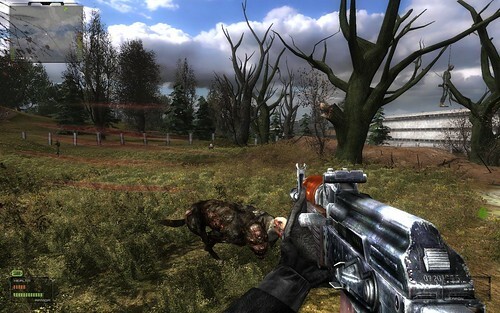 As far as story, Clear Sky is the second game, but takes place during the lead up to STALKER. Since the first game deals with learning who you are and what your past was, Clear Sky will likely give away all of those answers. As far as gameplay, I think Clear Sky is supposed to be more similar to other modern games and therefore easier since many of the quirks of STALKER are gone. I don't think you can install Complete 2009 for Clear Sky, but there may be similar mods available for that game.